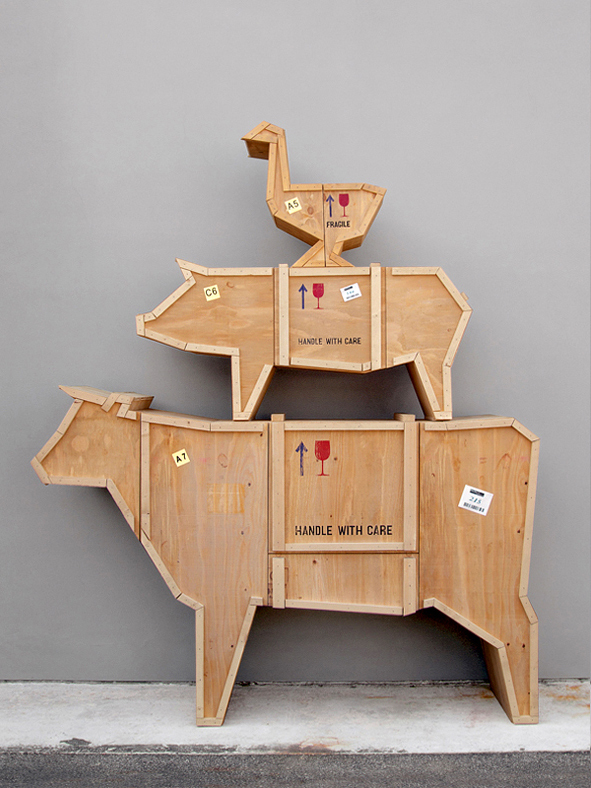 Seletti has just released a trio of playful animal-shaped storage units – called “Sending Animals”, made from wooden shipping crates. 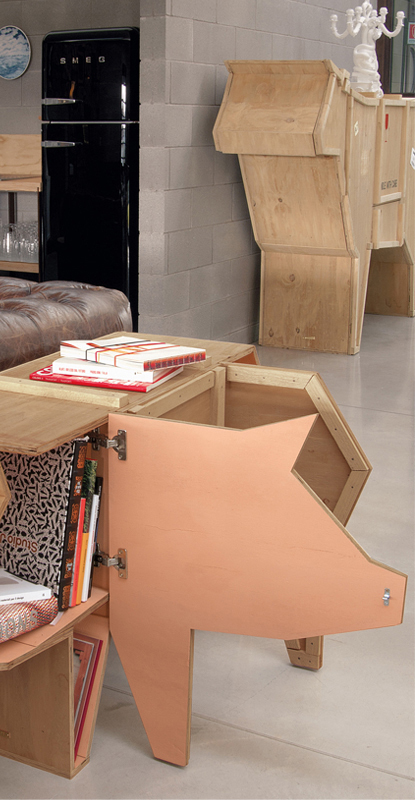 These ingenious storage units are perfect for the industrial, traditional, shabby chic or even modern homes. 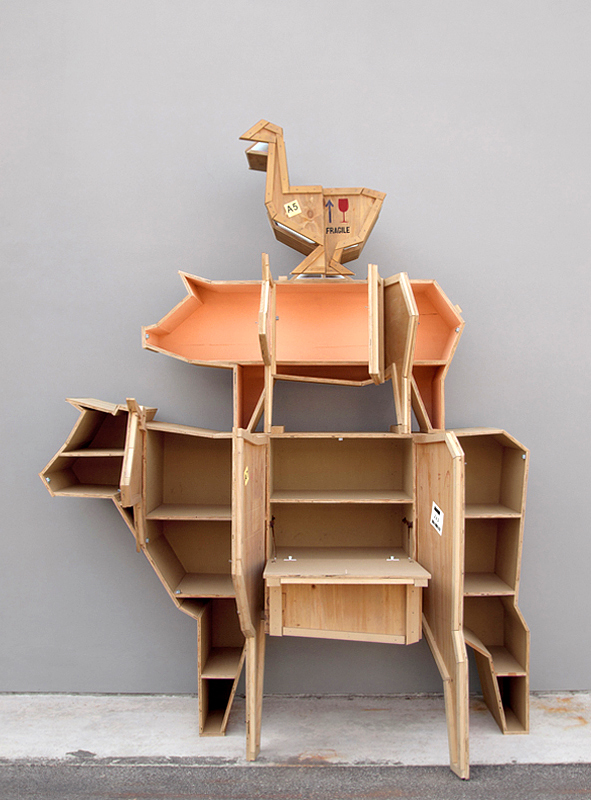 Italian designer Marcantonio Raimondi Malerba designed these gorgeous pieces to further explore the eccentric ideas and relationships between people and nature. 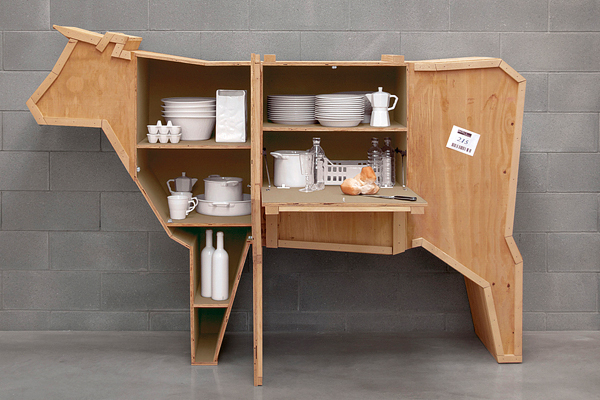 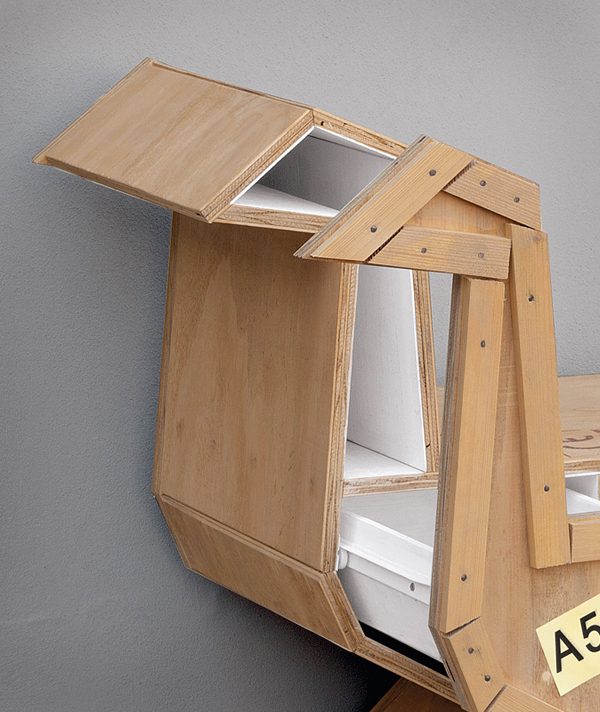 Looking like the silhouettes of 3 crated farm animals– a goose, pig and cow, these open up to compartmentalized storage that is fun to arrange your goods in and put the furniture on display for all to see. 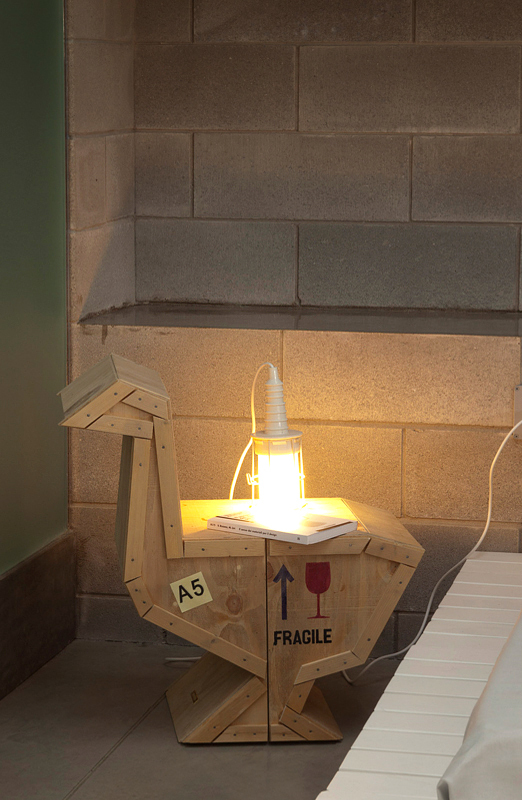 With the goose being the perfect height to serve as a low side table, it comes with a pull out drawer. 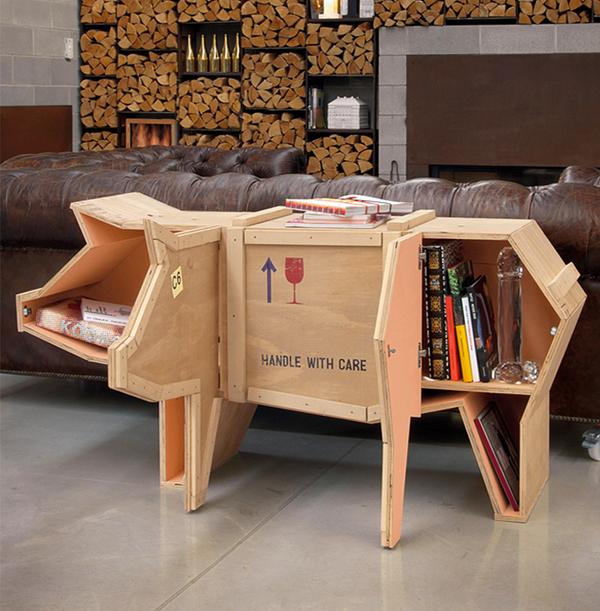 Cow and pig are large enough to act as sideboards, console tables or just as a fun piece to display and hold whatever your heart desires.